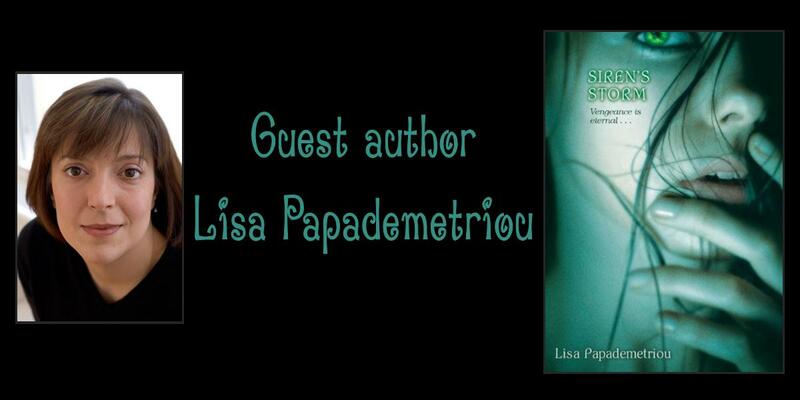 Please welcome today's guest author Lisa Papademetriou! Lisa is the author of Sixth-Grade Glommers, Norks, and Me , the Accidentally Series, The Wizard, the Witch, and Two Girls from Jersey , How to Be a Girly Girl in Just Ten Days , Drop , Chasing Normal , M or F? , and coming in August Siren's Storm . Lisa: It’s funny--when I give talks on writing at schools, I always ask, “Who here is a writer?” and, generally, almost everyone raises a hand. Even as a kid, I saw myself as a writer, and I think that even if I didn’t earn a living putting words on a page, I would still see myself as a writer. So, in that way, I guess I started writing the minute I learned the alphabet. It’s still amazing to me that so many stories and concepts, so many thoughts about the world and life, can be expressed with only 26 letters. Lisa: I’ve always loved fantasy--I used to sit in my room and draw maps of fantasy worlds, and come up with characters to inhabit them. I read fantasy nonstop: LeGuin, Lewis, Tolkien, Cooper, Alexander, L’ Engle. I always thought I would grow up to write high fantasy. A few years ago, I published my first fantasy novel, a parody called The Wizard, the Witch, and Two Girls from Jersey, which was an homage to some of my favorite books and authors. Siren’s Storm was born out of a dream I had, in which I saw a group of children treading water in a river, singing. Every now and again, one of the children would put a face in the water, and then look back up at me, and it slowly dawned on me that the children were waiting for something...something monstrous. I woke up and knew I had the beginning of a new story. EJ: If you could have any paranormal or supernatural talent, what would it be? Why? Lisa: Actually, I would despise having a paranormal or supernatural talent. It seems like a horrible responsibility, a frightening and lonely experience. I’m currently working on a sequel to Siren’s Storm, and a lot of the story is about that. Lisa: Siren’s Storm is a thriller, with both romance and action, but it also has a lot of humor. I hope readers love the characters as much as I do! EJ: If your book(s) were being made into a movie, who would you cast in the leading roles? Why? Lisa: I’d cast Emile Hirsch as Will. He’s able to portray the right kind of brooding vulnerability that I think Will needs. Emma Stone--if she had black hair--has the right look for Asia, although I’ve never seen her do anything that wasn’t a comedy. I’d like to see Gretchen played by someone like Emma Roberts. She’s a natural beauty in that girl-next-door way. Siren's Storm by Lisa Papademetriou. Nothing has been the same for Will ever since what happened last summer. One day, on an ordinary sailing trip with his brother, there is a strange accident. When Will wakes up, he learns his brother has disappeared, presumed drowned. Worst of all, Will can't remember what happened—his family finds him unconscious, with no memory of the accident. Now Will and his best friend and neighbor, Gretchen, are starting a new summer. Gretchen seems troubled—her sleepwalking habit is getting worse, and she keeps waking up closer and closer to the water. Will is drawn to Asia, the exotic new girl in town. Nobody knows where she's from—all Will knows is that her beauty and her mesmerizing voice have a powerful effect on people. Then there is another mysterious drowning, and Will and Gretchen begin to wonder: Is Asia just another beautiful, wealthy summer resident? Or is she something entirely more sinister . . . and inhuman? To learn more about Lisa and her books, please visit her website. Great interview! Siren's Storm sounds really interesting. I will have to put it on my wishlist! I am really interested in books with mythical elements - I have not seen too many sirens around so this is intriguing...so have added this to my tbr list. Oh yes nice cover too! Great interview! 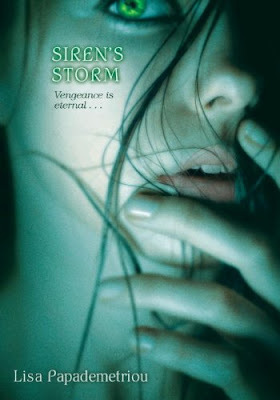 Siren's Storm sounds like a great book and I can't wait to read it! Thanks for posting the interview! I have seen Siren's Storm around and its on my list because it has mythological elements I love so much. Thanks for the interview.